Lizzie McGuire premiered on Disney Channel on January 12th, 2001. I’ll admit it — I’ve never been all that adept at color. In fact, I consistently struggled with matching throughout middle school. It’s only as a 28-year-old adult that I’ve learned how to pick and apply a complimentary lip color. Selecting the perfect eyeshadow palette and deciding if my glitter rainbow boots are tacky are still struggles of adulthood, but there is one fictional character that has provided me with the eternal courage to live colorfully: Lizzie McGuire. 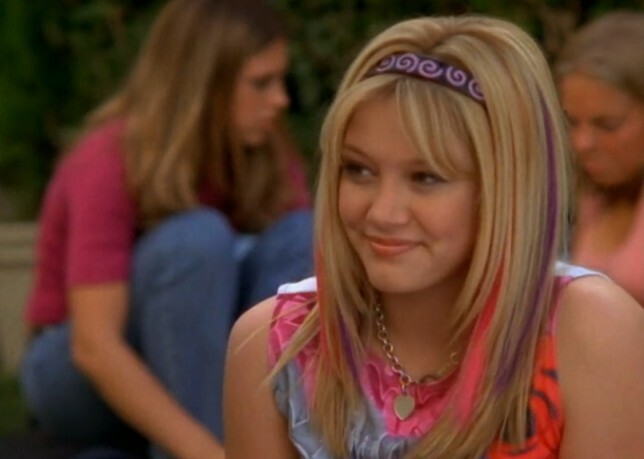 Lizzie McGuire made its Disney Channel debut while I was still an impressionable middle schooler. In a time of Tamagotchi and nervous slow dances, this bold and seemingly fearless character stepped into my world, and every misstep and adventure that Lizzie survived in her fictional life mirrored my own. Becoming a teenager was tough — and it wasn’t really something you discussed with other teenagers. I remember whispering to one friend (and only one friend) that I’d started my period and was relatively sure I needed a bra, but I was too embarrassed to ask my mom. I felt awkward, and who didn’t at that age? As I sobbed while choosing between pads and tampons and secretly listened in on three-way phone calls after school, Lizzie McGuire and her friends were a constant source of comfort. 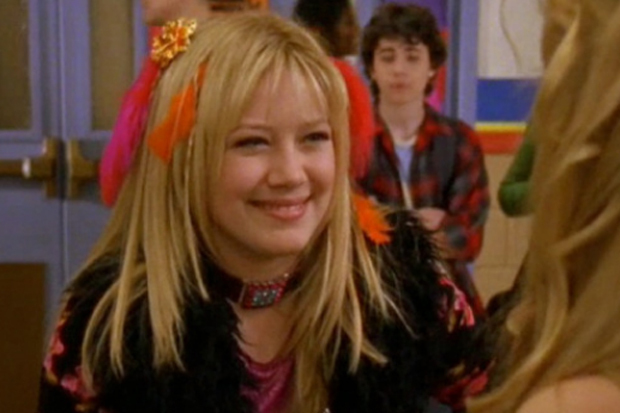 Viewers of the show are likely to remember Lizzie’s unique and always colorful fashion choices. She experimented with butterfly clips, went heavy with the hair crimper, and knew exactly what it was like to have an unrequited crush on the popular boy in school. Emotions are scary when you’re a growing teenager, but Lizzie handled them with creativity and laughter. Whenever I watched the series, I imagined I was returning home from school to spend an evening with my best friends. When I was afraid to try bellbottoms and Skechers made me uneasy, Lizzie was unabashed in her fashion experimentation. From fake nose rings that scared her mom to bejeweled bandanas and colorful clip-in hair extensions, the fictional adolescent set her own trends and inspired me to follow suit. My first time trying to perfect the art of the butterfly clip might have left my hair a little worse for the wear, and I definitely incurred split ends from my daily overuse use of a hair straightener, but I’d stepped out of my shell. I’d spent much of my youth letting my mom dress me, and though it would have been easier to cave to her fashion whims, Lizzie McGuire made me feel bold in my own fashion decisions — even the clashing ones. Though fashion remained a central and unmistakable theme in each episode, there was one accessory Lizzie wore that was more important than any fuzzy handbag — her heart. Whether she was buying a bra or graduating from middle school, Lizzie remained true to herself. She was charming, caring, kind. She was there whenever her best friends, Miranda and Gordo, needed her. Even though her family embarrassed her, she loved them. Seeing a young television character open up to her mom, or have a fight with her best friends but make up later, was the glimmer of hope I needed in the midst of my biggest growing pains. My pre-teen experiences didn’t always wrap up as neatly as a 30-minute episode of Lizzie McGuire, but almost two decades later, the misadventures of the former middle schooler continue to inspire me to live boldly.